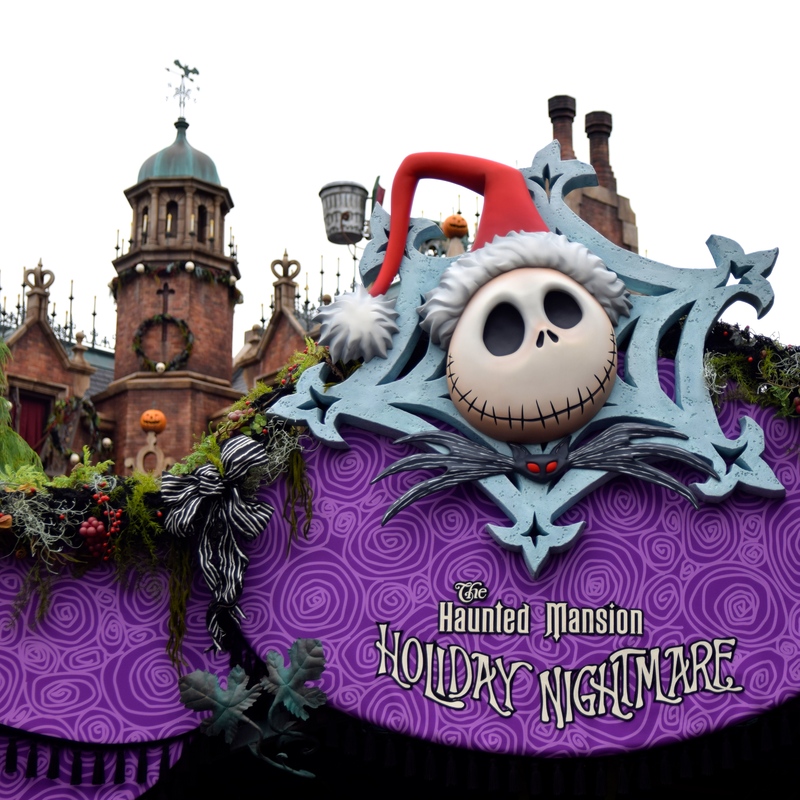 Let’s continue with Holiday Nightmare, the name of the Haunted Mansion Nightmare Before Christmas overlay. The detail was awesome and overall this is a much better Haunted Mansion that Anaheim’s, the crowds seemed really into it as well, the ride hosted a very healthy long line. Alright! 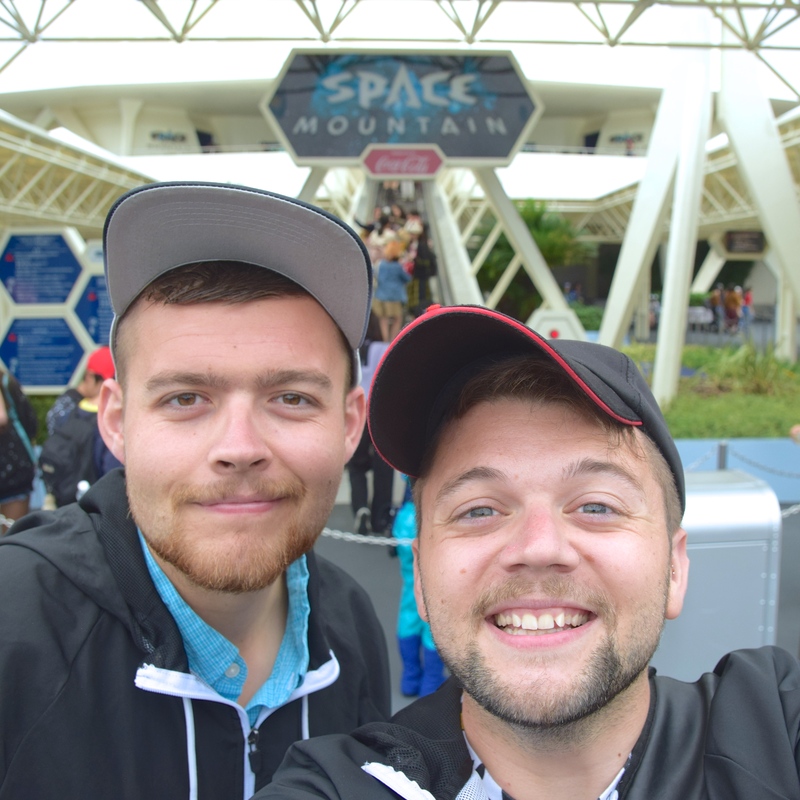 Back to Space Mountain! We found the greatest Space Mountain picture frame and decided it was a necessary purchase. With that picture frame we wanted to take a Space Mountain selfie. 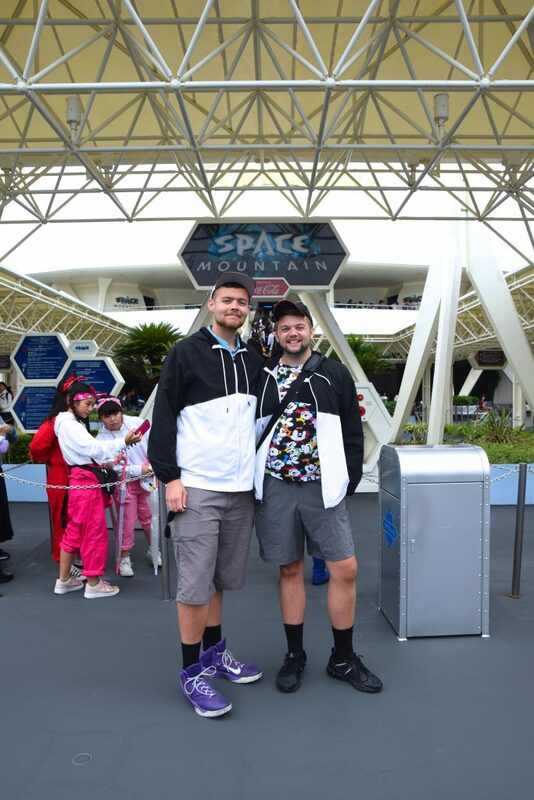 Space Mountain cast members were excited for our Space Mountain lovin’ and rushed over to take the pictures for us. Guest Service at Tokyo Disney Resort is immaculate. That was of course incredibly kind, but that’s not where it ended! The amazing cast members were down to have a good ol’ Space Mountain photo shoot! 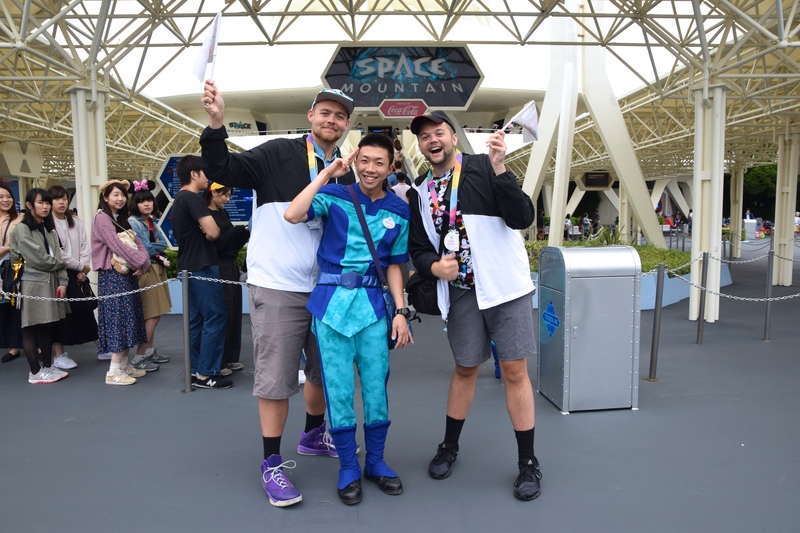 We were decked out in 35th Happiest Celebration (35th anniversary of the Tokyo Disney Resort) gear, got some celebration flags, and posed with a Space Mountaineer! We had the greatest time. 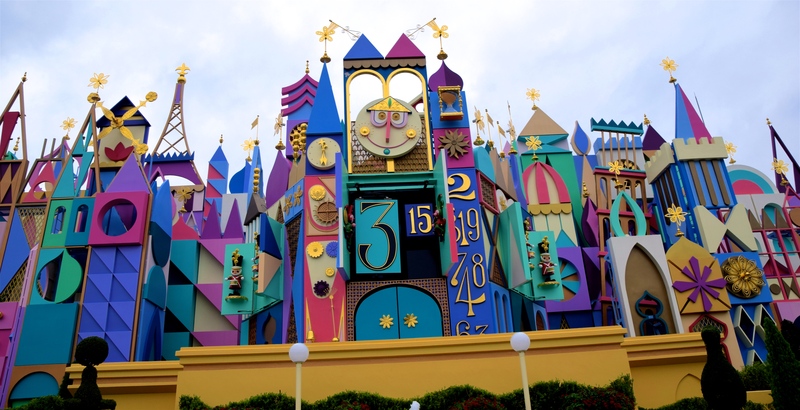 The cast members were so excited they gave us special viewing FastPasses for the 35th Happiest Celebration parade and castle show. This resort, much as you’d expect from Japanese pop culture, is very much into celebrating, merchandising, and cute things. 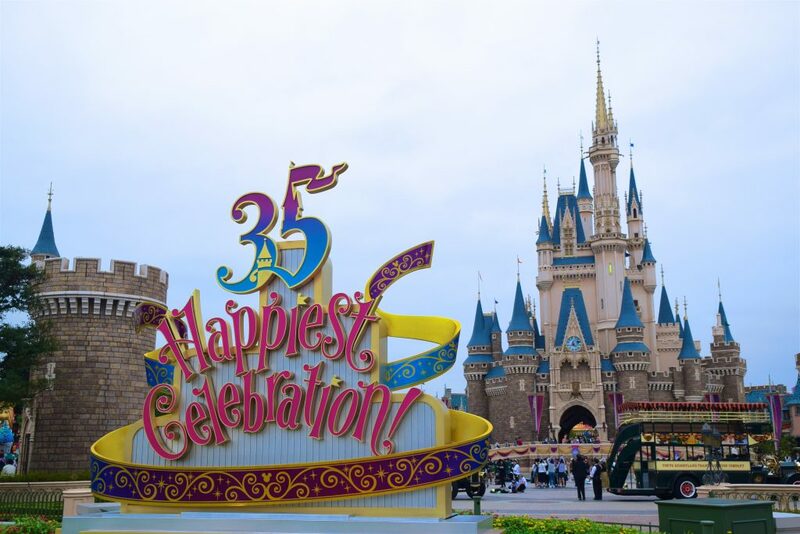 The resort celebrates everything they possibly could, every anniversary, whether that’s 13 years or 35 years, whether it’s the whole resort or park specific. There is always a celebration and always merchandise available for it. It’s awesome! 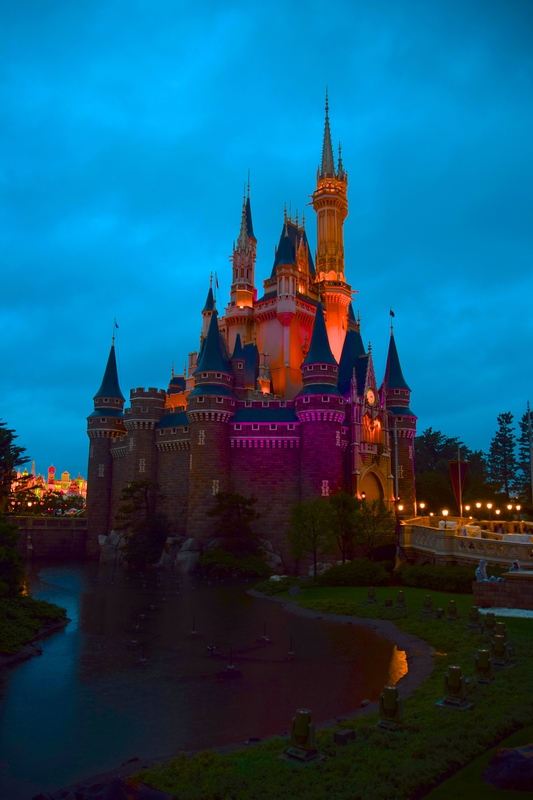 The Tokyo Disneyland castle is much like Walt Disney World’s but features more color. 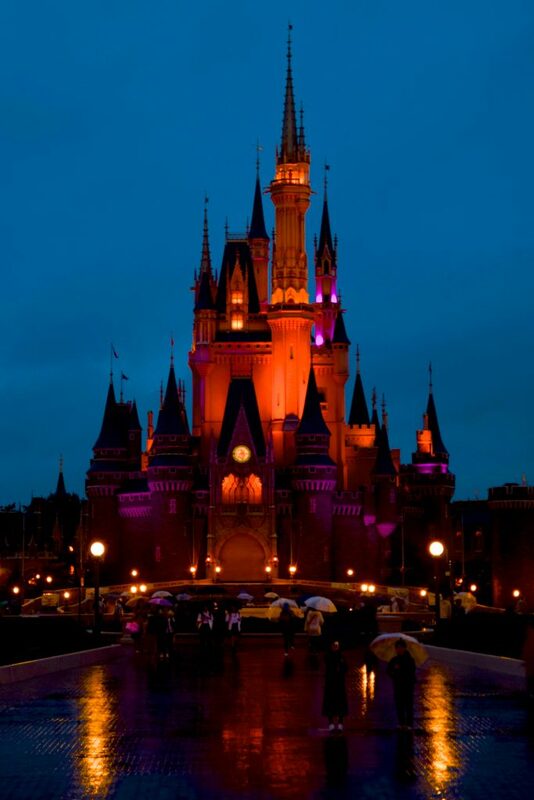 Any castle is amazing and magical when you come from small-castle-land (Anaheim). Next up was Pooh’s Hunny Hunt! 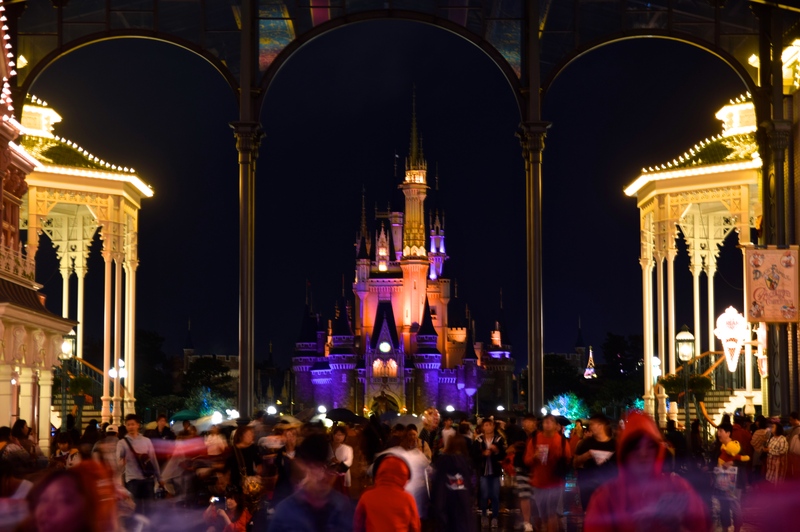 The infamous Tokyo Disneyland trackless dark ride! 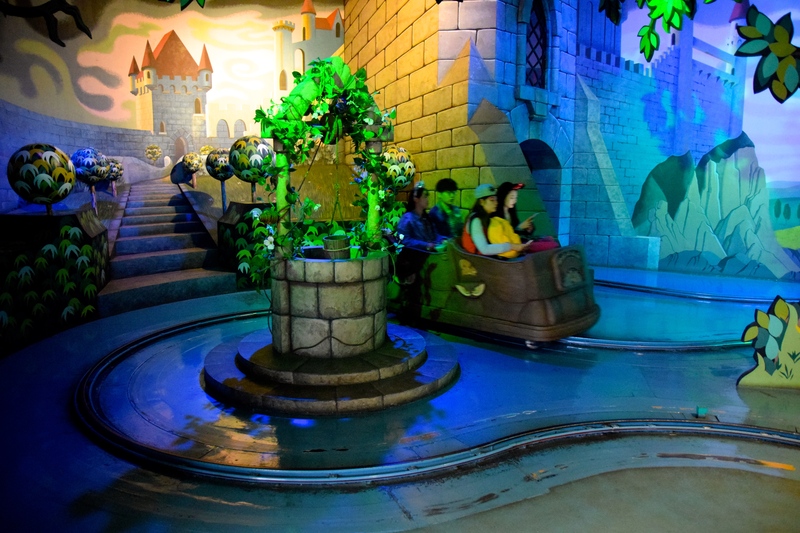 Though not terribly long, this ride’s technology and immersive scenes really deserve all the recognition it has received. 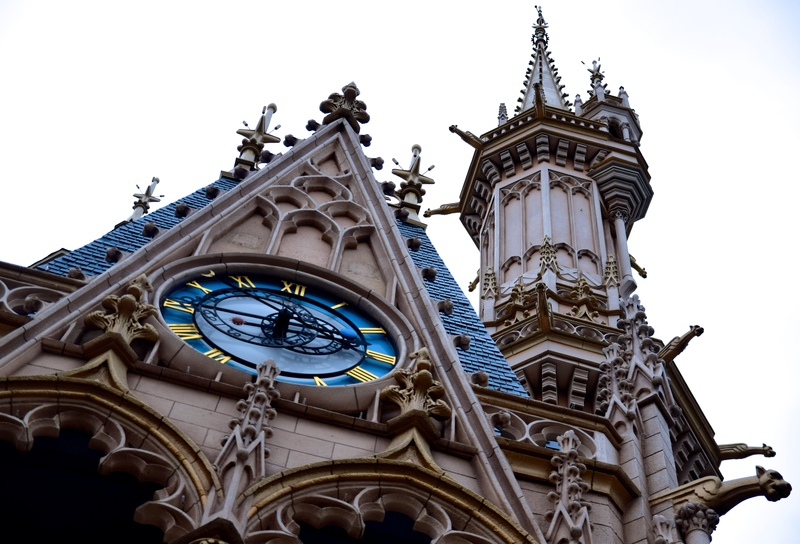 It is one of my favorite rides at the resort and really add a unique Tokyo Disneyland-only ride, which is not something the park can say much (besides this and Monsters Inc.). 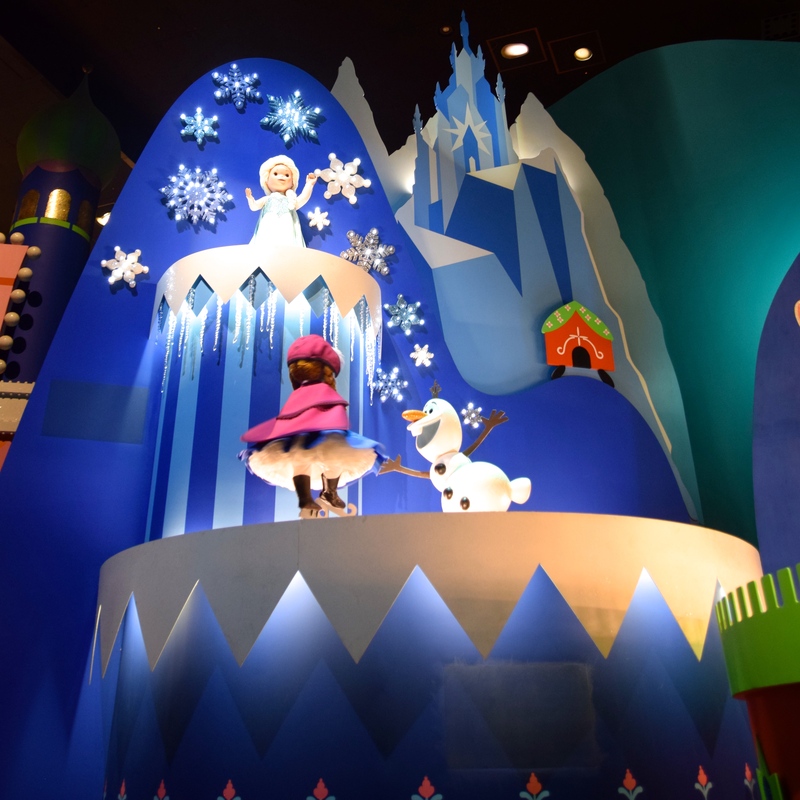 Another one of our favorites was it’s a small world. 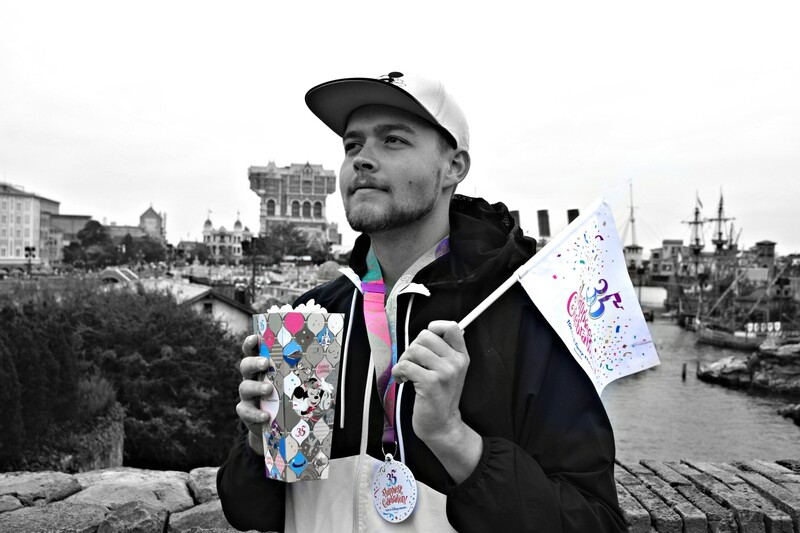 It’s much like others, but the bright colors that well reflect Japan’s pop culture definitely drew us in immediately. 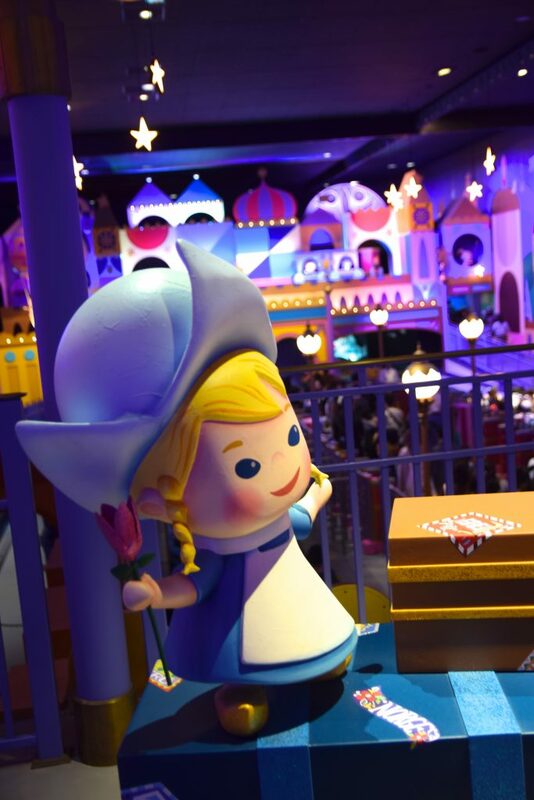 Once inside it became clear that the resort had just completely renovated the queue and station with new moving scenes and animatronics, paintings, music and loading platforms. It was brand new and lovely! Hey! Here’s a Dutch girl! Do I look like her? 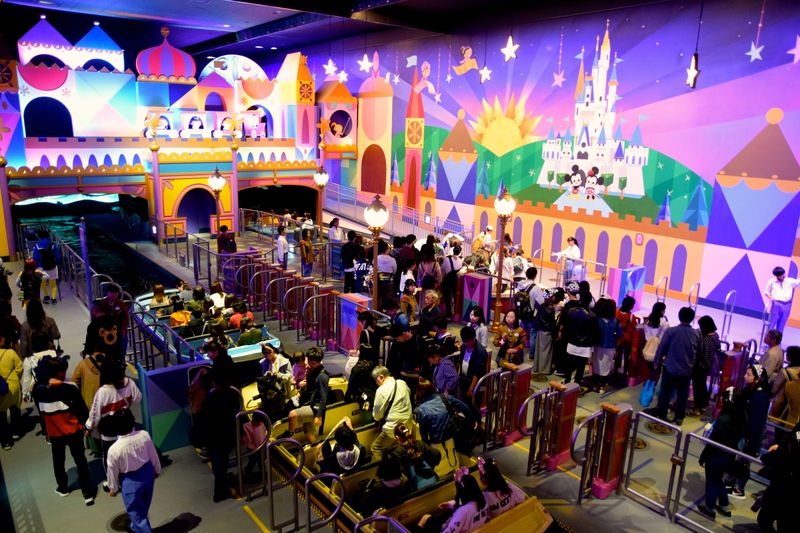 it’s a small world Tokyo features many Disney IPs as part of the ride’s recent makeover. It was awesome seeing so many new characters from recent and old IPs! Once it started raining pretty heavily we figured it was time to head over to Splash Mountain, hoping it would have a short line. 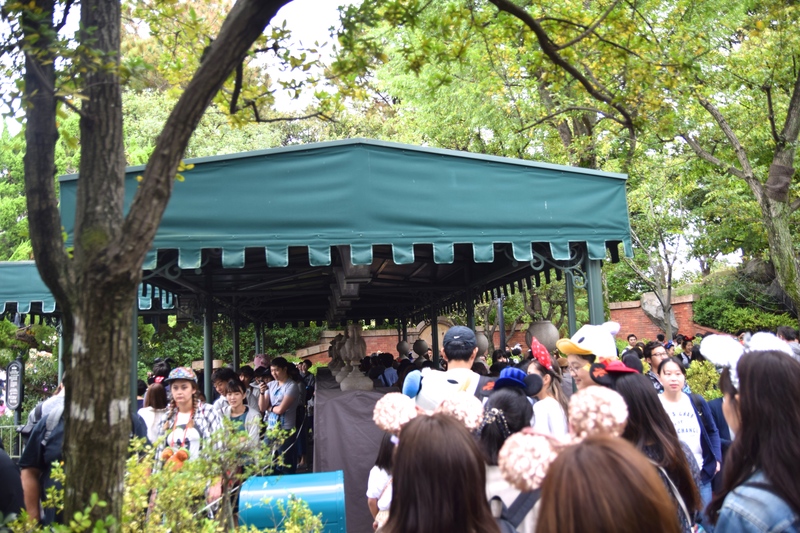 The line was still very long but we chose to use the single rider line. 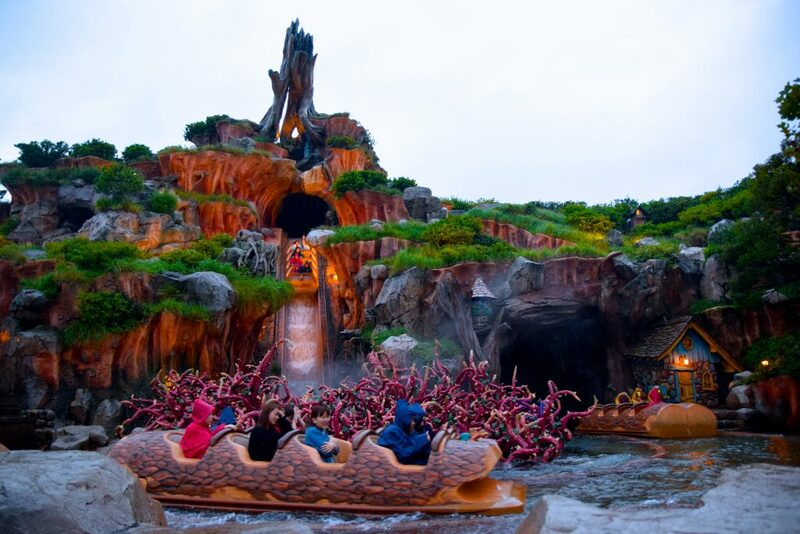 The ride is awesome but has terrible boats with short restraints that definitely aren’t tall people friendly. Redeeming qualities were the awesome queue, completely different scenes from California, the music and the fact that you don’t get that wet. Ended up having a painful but fun ride on it! Night time was upon us and the rain started pushing us into the mood to leave the park a little earlier than expected. We were tired and hadn’t slept much on our busy tour of Asia. Thus we slowly started wrapping up our visit. 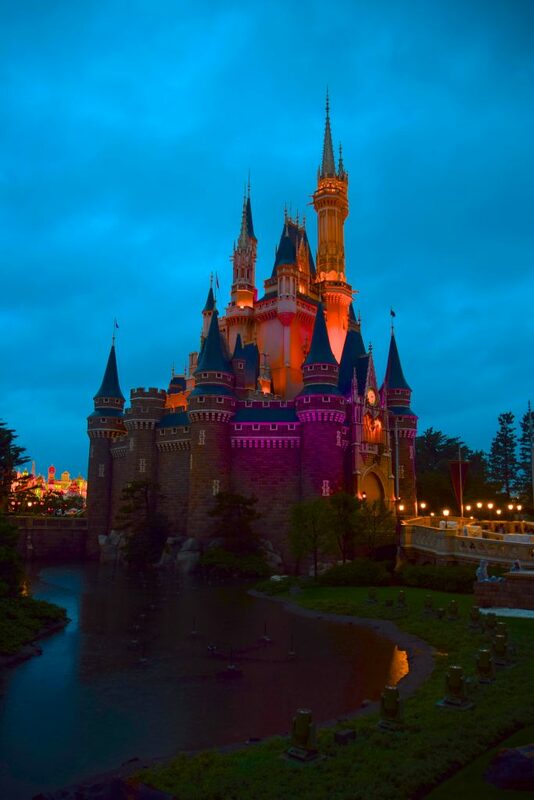 We took a nice look, or more than just a look, at the castle before heading into the World Bazaar for dinner. Inside there were projection shows taking place at the fountain, featuring the resort exclusive song for their 35th Happiest Celebration event, as well as Disney Halloween music. It was great entertainment while we waited for a table at the East Side Cafe. Inside we had some amazing Italian food for a very reasonable price! 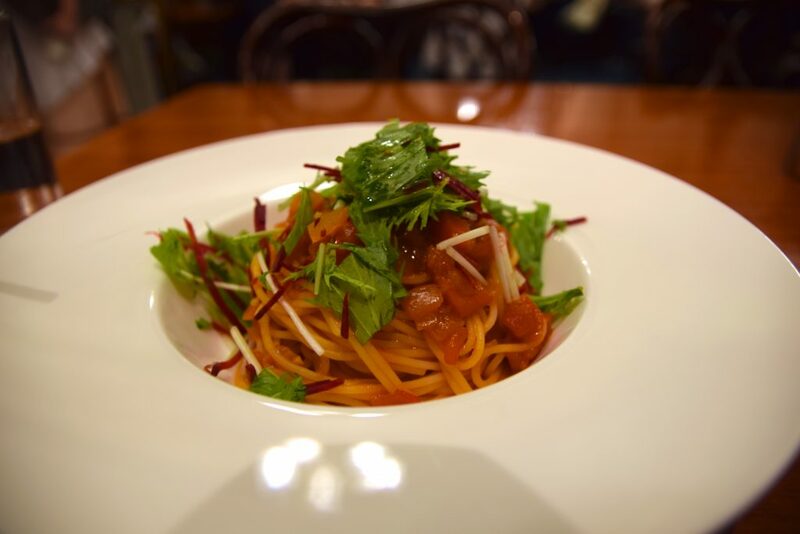 Definitely check out the table-service East Side Cafe, which also has vegetarian options! We headed back out into the World Bazaar for some more pictures, hiding from the rain! 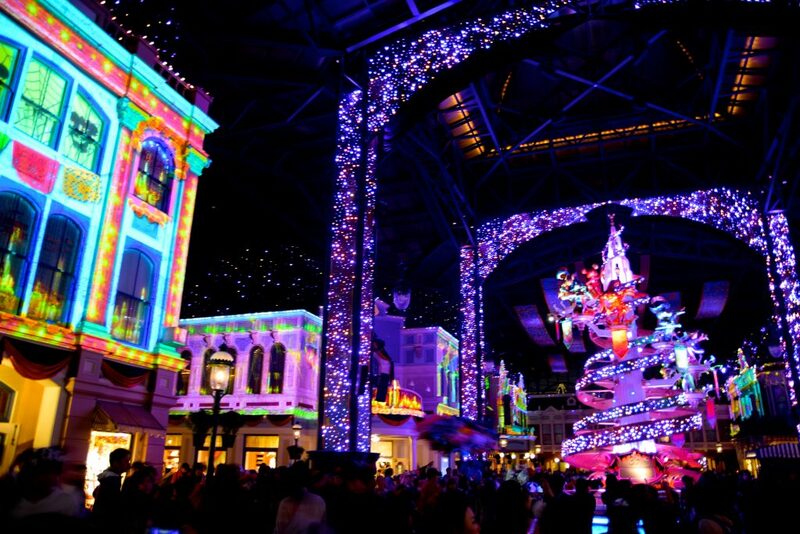 The atmosphere is exciting, high energy, pop, something only this resort/park and its dedication to ‘celebration’ could deliver. 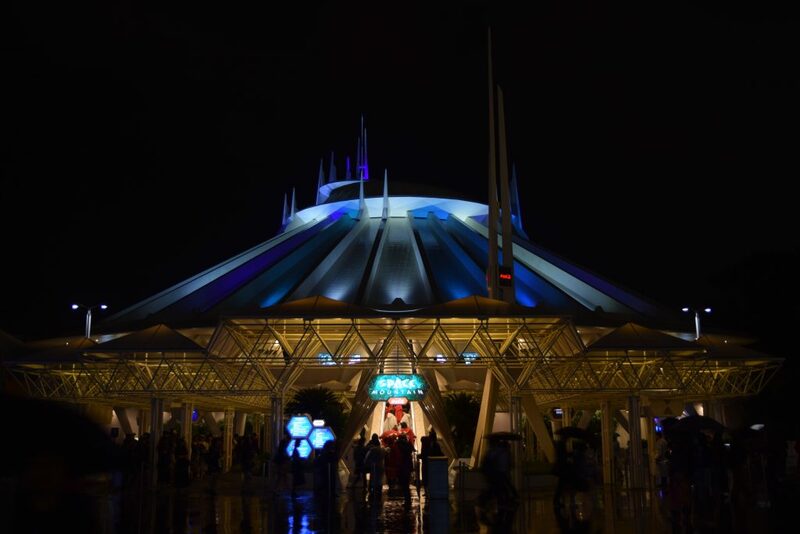 We finished our rainy night with Space Mountain, which unexpectedly became my favorite ride at the resort. 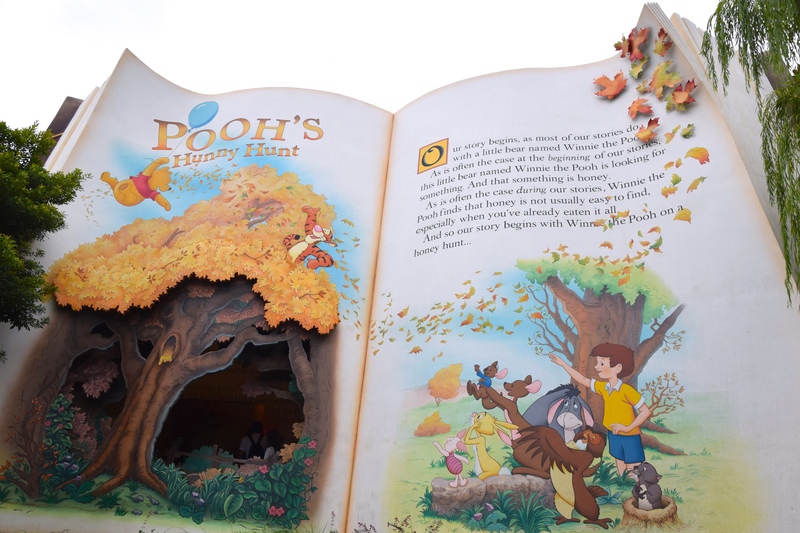 Wild laterals, incredibly smooth, and filled with wonderfully classic theming. A ride I didn’t think would be anything notable turned out to be my favorite. 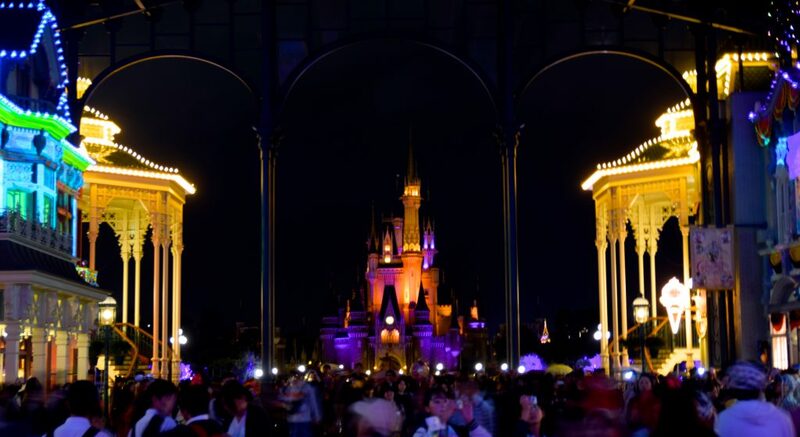 Much like how Tokyo Disneyland is a park I went into expecting to not be very notable, but sure turned out to be a great theme park with much more character than one would think. 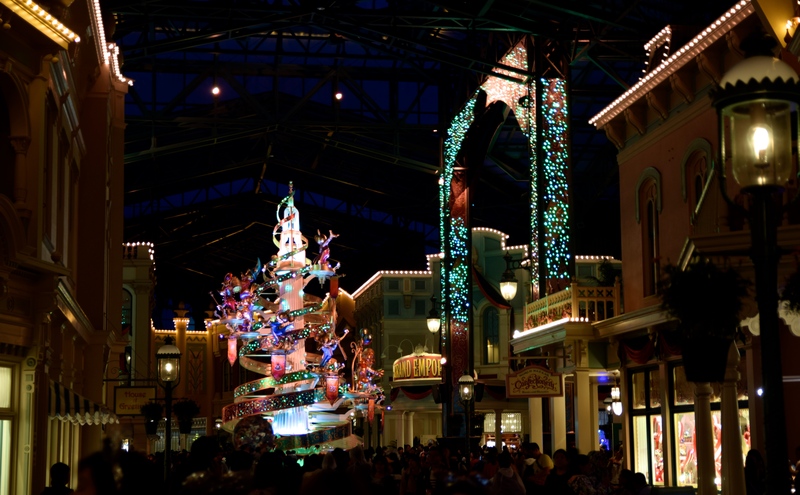 Having Tokyo DisneySea next door does not mean Tokyo Disneyland is short of being amazing in its own way. It should be noted that Tokyo’s Pirates is still non-PC. There’s still a wench auction ans the pirates still chase the women. Loved experiencing the version I grew up on. Previous PostPrevious This is Where Knott’s Berry Farm’s Boomerang is Going!